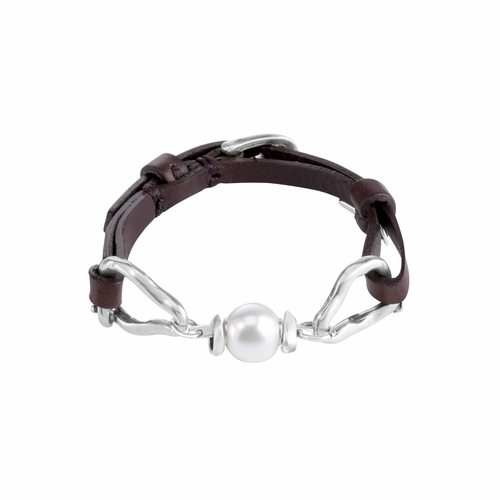 Bracelet with brown leather strap and links united by a central pearl, adjustable buckle clasp. 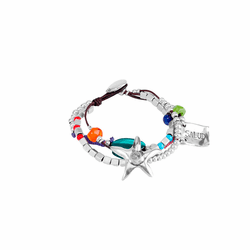 A unique design with personality that reflects the conceptual and independent style characteristic of UNOde50. 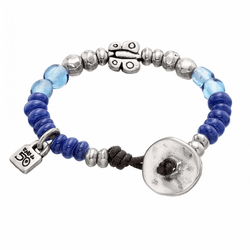 Handmade in Spain, like all of the brand�s pieces. Care: Store the piece in its original bag or in a closed box, in order to protect it from air, direct light or humidity. Avoid, as far as possible, any contact with perfumes or other cosmetic products. 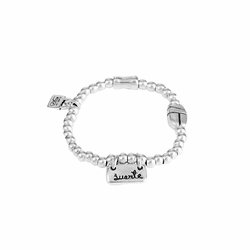 SILVER PLATED PIECES: Clean with a soft cloth or with a non-abrasive silver cleaner. CRYSTALS AND GLASS: Use a soft, slightly damp cloth. LEATHER: Clean leather parts with mild soap or an unscented and colorant free moisturising cream.